Why Can’t Parking Lot Structural Problems Just Be Paved Over? Why Can’t Parking Lot Structural Problems Just Be Paved Over? Parking lot problems can be more complicated than you’d think; simply paving them over can result in bigger problems down the road. Winter can wreak havoc on parking lots, creating potholes, cracks, and other structural problems. It may seem like a simple solution to just pave over a struggling parking lot with fresh asphalt. However, this will not fix any of your parking lot structural problems; you’ll just have a new parking lot that will quickly develop the same issues. You’ll just end up spending more money to fix the mistake. It’s better to approach your problems one by one instead of covering everything up, and there are several reasons why. If you have potholes and you just cover them up, you may find yourself with the same potholes again a few months later. Covering up the problem doesn’t make it go away. It’s best to figure out what’s causing your parking lot structural problems and treat the issue at the source. The reason for your potholes may be that your parking lot doesn’t have proper drainage. Fixing your drainage issues will also fix your pothole issues. Different parking lot structural problems have different solutions. In other words, covering everything up the same way may solve some problems, but it won’t solve all of them. New pavement will cover up old stains, but it will do nothing for pavement cracks, which will continue to grow and damage the new asphalt. An experienced asphalt contractor will be able to inspect each issue and fix them individually. If your parking lot is looking worn beyond repair, then it may be time to either resurface or replace it. To resurface a parking lot, you will have to first fix all the issues, including diagnosing the causes of those issues and addressing them. After that, you can resurface the parking lot, which involves texturizing the surface and adding a new layer of asphalt that is about 1.5 to 2 inches thick. This can add 8 to 12 years to the lifespan of your parking lot. Parking lots that are 20 years or older or that have 25% to 35% of the surface that are substantially damaged are good candidates for replacement. Instead of laying new asphalt over the old asphalt, the old asphalt is removed and the parking lot is completely rebuilt. This can actually be more economical than continuing to patch up a significantly worn parking lot. Terra Firma is dedicated to delivering quality workmanship. 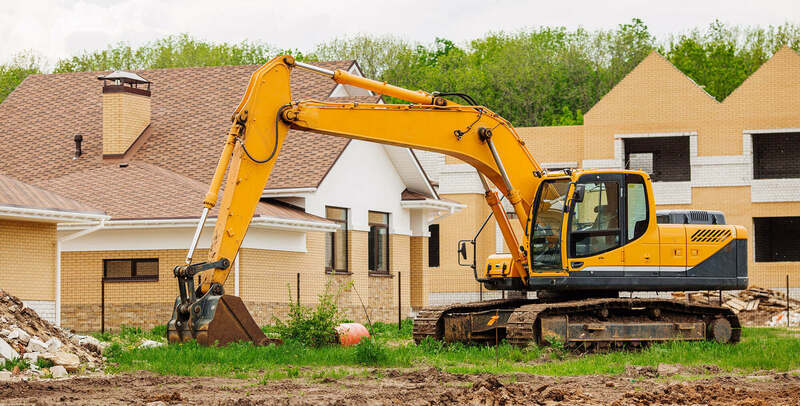 If you have a commercial or residential construction project that you need taken care of, please contact Sussex Counties most experienced paving contractor today by calling 302-846-3350. You can also follow Terra Firma on Facebook and LinkedIn.